I joined the Auckland Urban Sketchers for one last time this afternoon. 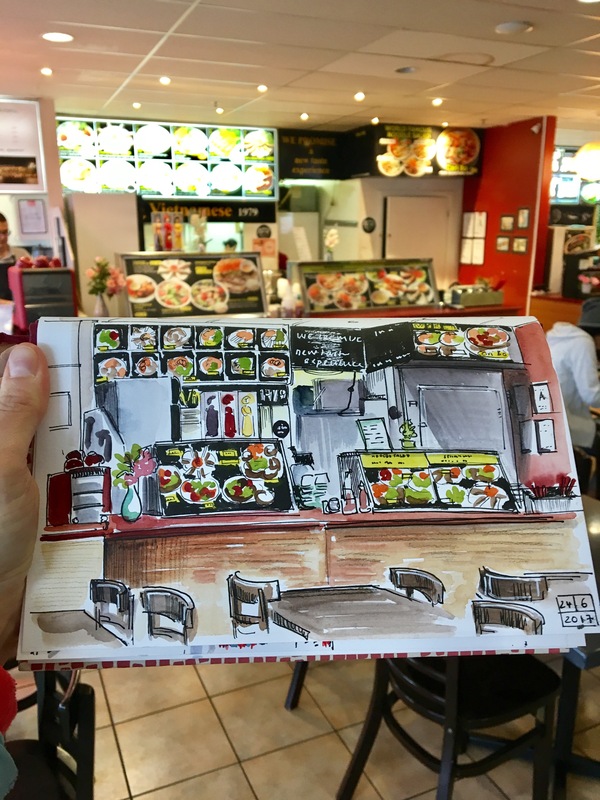 We met in the International Food Court in Ponsonby and sketched the cafes, food and people! I enjoyed a big bowl of chicken pho before I started. Love your work~! There’s a spontaneity and a vitality that grips me. Without rhapsodising, it’s an almost Zen quality. Going back a few years Ponsonby was the ‘slum landlords’ zone, and then the professional classes saw the potential and moved in. They raised the quality of the properties, and the rentals; the costs drove the Pacific Islander migrants out—eventually it became what it is today. So cool! Did you sit there and paint as you watched. I did a little sketching at Disneyland and I was so nervous. You are really good! Ben painting for how long? Do you teach classes? 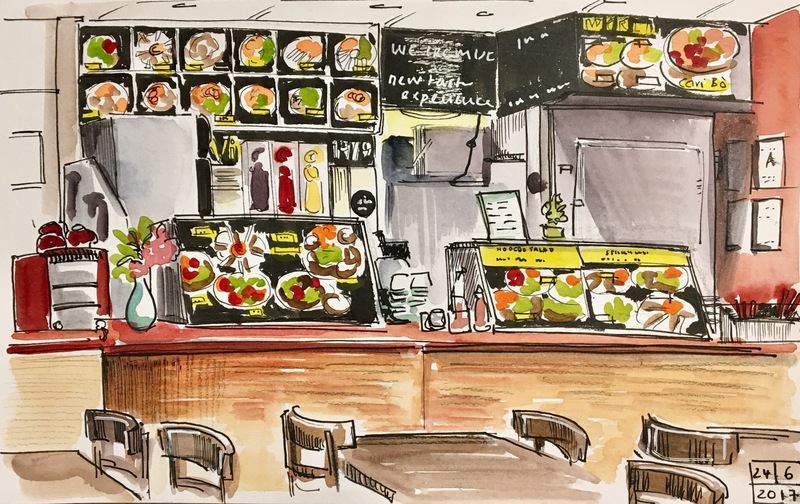 Thanks Myra, yes we always draw ‘live’ with Urban Sketchers. It takes a while to feel confident in public! I’ve been doing it for 2 years now. I don’t teach (yet!) but I recommend Craftsy classes online as a good place to start.